Roscoe Tanner, former #4 in the World, Australian Open Champion, Wimbledon Finalist, winner of 16 ATP Titles along with holding the record for having the fastest serve (153 mph) IS YOUR Tennis Pro! He is not a teaching pro, he is a touring pro that loves to teach. Roscoe was coached by the greatest tennis minds in the sport, Jerry Evert, Pancho Gonzales and Dennis Ralston. Roscoe's knowledge, experience, and dedication to improving your game is the reason so many players from beginners to the pro level are choosing Roscoe Tanner Tennis. It's YOUR turn! Amy is a Doubles Specialist that has what it takes to get your game to the next level. 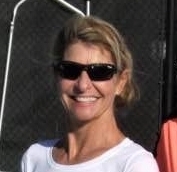 She was the Saddlebrook Junior Academy and Adult Tennis Pro, along with Legends Country Club Tennis Pro in Fort Myers. Amy has been working with all ages and levels for over three decades! If you want to add POWER, CONTROL, and SUCCESS to your tennis game...GET ON HER COURT! INTRODUCING PRIVATE VIDEO COACHING BY ROSCOE TANNER! No matter where you live, You can now have a private lesson from Roscoe Tanner! We are revolutionizing tennis lessons with private instruction by VIDEO! You take a video of the stroke you feel needs the most help. (It all starts with the serve!) Take the video from all angles…Send it to Roscoe Tanner at rtanner300@gmail.com. He will analyze your video and send you specific, detailed, professional advice on how to solve, enhance, or change your stroke! 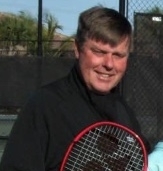 Roscoe has spent his entire life, first…being coached by the greatest minds in tennis, Pancho Gonzales, Dennis Ralston, Jerry Evert, and second….coaching all levels of players from young juniors, to club level, to college and pro level players. As a professional player Roscoe Tanner won The Australian Open, was a finalist at Wimbledon in the epic 5 set match against Bjorn Borg, held countless ATP Singles and Doubles Titles all around the world. Roscoe’s partner? Arthur Ashe! Roscoe also held the record for the fastest serve at 153 mph. (It was a slice!). We know you may not be able to make one of our Tennis Camps held in Florida, that doesn’t mean you cannot have a private lesson with Roscoe Tanner without leaving your hometown tennis court!